Donate Big & Find Homes! On this fine first of May, we at Fetching Tags are proud to announce that this year, we will be donating 1000+ tags to non-profit rescues & shelters in the USA. Yep, it will be lots of work – that’s over $30,000 in tags & many hours of labor. We will need your help! Hello I’m currently fostering a dog for my local dog rescue. 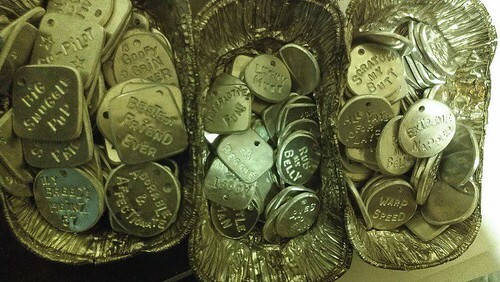 What is needed to have a tag donated for our foster girl? Your tags are so cute! Your tag is cute and crafty. You can have some customized Pet ID tags with decorative objects for identification purpose. Love the creativity of Jen’ tags. So glad she came to the conclusion that there just were NO awesome or well made doggie name tags and decided to take matters into her own hands! All our family pups are wearing these & we’re often stopped by other doggie parents wanting to know where we got such funky bling-bling for our furry babies…..